Sheremet Murder: "Ukraine without Poroshenko" ? Sheremet Murder: “Ukraine without Poroshenko” ? 4.2 out of 5 based on 5 ratings. 5 user reviews. Sheremet Murder: “Ukraine without Poroshenko” ? An internal investigation within Ukraine’s National Police discovered unlawful surveillance of civilians, politicians, and senior police officials. Individuals under surveillance included the head of National Police, Khatiya Dekanoidze. 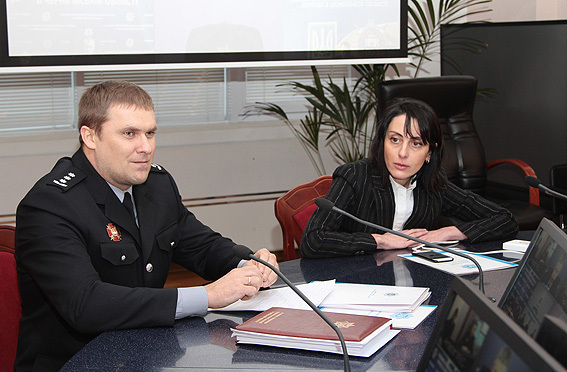 The unlawful surveillance was organized by the National Police criminal wing, Vadim Troyan. 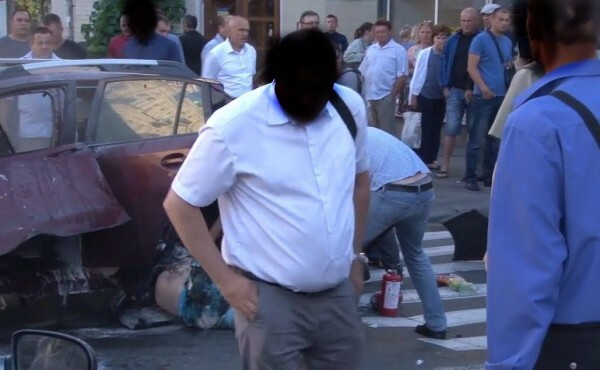 Photos of the explosion site published on the internet show two associates of Troyan, who were present at the time of the explosion. One of them is a former Azov militant who currently works for the National Police. Ukraine’s MVD did not reveal the names of officers who surveilled Sheremet and Dekanoidze. “There is an ongoing internal investigation, we will not release information until it is completed,” the MVD stated. The investigation was launched after Dekanoidze was photographed meeting with several US citizens at the Vabene restaurant. The internal investigation will uncover who gave Troyan’s associates orders to conduct surveillance of Sheremet and the head of the National Police. Media reported earlier that Sheremet and his common law wife Alyona Pritula knew they are under MVD surveillance, but opted not to hire bodyguards. Sheremet’s death is currently classified as murder performed by means endangering other lives. The investigation is being conducted by Kiev Police Investigative Directorate under the oversight of Kiev procurator, Roman Govda. J.Hawk’s Comment: There are many possible interpretations of this event. One is that there was a genuine effort to overthrow Poroshenko and possibly replace him with Avakov or someone similar. That would account for the US citizens, the meetings, Sheremet’s siding with Azov against the SBU. The other plausible scenario is that, following the failed coup in Turkey, Poroshenko decided a coup against himself would serve as a wonderful pretext to do what he has long been meaning to do: oust Avakov and suppress the volunteer battalions which are the biggest threat to his power at the moment. Many observers have noted that the murder of another Pritula-affiliated journalist, Georgiy Gongadze, was used to launch public protests that nearly toppled President Leonid Kuchma, under the slogan “Ukraine without Kuchma”. So the precedent is there, and it seems implausible that the murder of as prominent a Ukrainian media figure as Sheremet would not be used to advance someone’s political agenda.